This bag of Hemp Hearts from Manitoba Harvest was included in my Best of Box from KLUTCH Club. Now, it’s featured on this week’s grocery list. I had seen a lot of use of chia seeds on health blogs recently, but I was unfamiliar with the taste or texture hemp seeds and what they could be used in/what health benefits they possessed. I was pretty excited to try them! 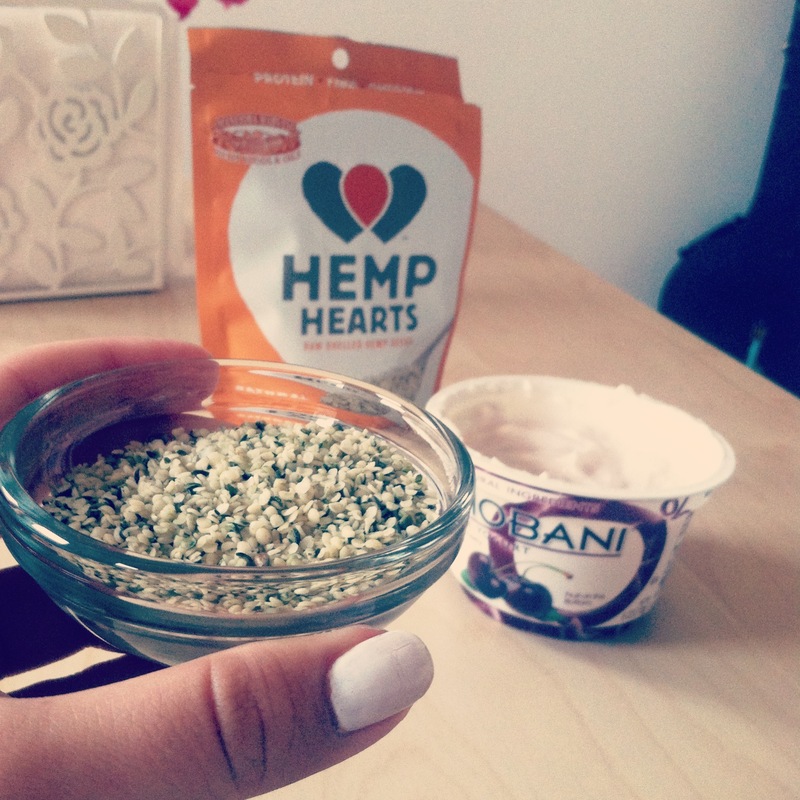 Hemp hearts are the inner kernel of the hemp seed (sans the hard outer shell). They have add an interesting texture and a distinctly nutty flavor to whatever they are added to. The hearts are rich in omegas, protein & fiber. Nuts.com even refers to hemp hears as “one of the world’s most nutritious seeds.” The bag suggests to “Sprinkle hemp hearts on salads, or add to cereal, yogurt, in baking or even into smoothies!” I loved mixing it into my Greek yogurt for breakfast.